So you went apple picking... now what? We’ve all been there: you’ve decided to embrace fall, and as a result, now you have several pounds of apples sitting on your counter or in your dorm room. Perhaps you decided to get back to your agricultural roots by picking apples and got a bit carried away, or maybe you were just feeling particularly enthusiastic about the fruit at the farmers’ market. I won’t judge you—I also go a little crazy when seasonal items are involved. I’ve been known to impulse-buy squash and stare lovingly at gourds. But on to the real question: What are you going to do with all of those apples? As tasty as they are, snacking on apple after apple gets boring. Here are some simple preparation and pairing ideas that will make an apple-filled season less monotonous and more delectable. 1. Add apples to a salad. They’ll add a really satisfying crunch. Try a salad with mixed greens, craisins, candied nuts, blue cheese, the vinaigrette of your choice and of course, apples. Or if you’re on a quinoa kick, try this apple-citrus quinoa salad. 2. 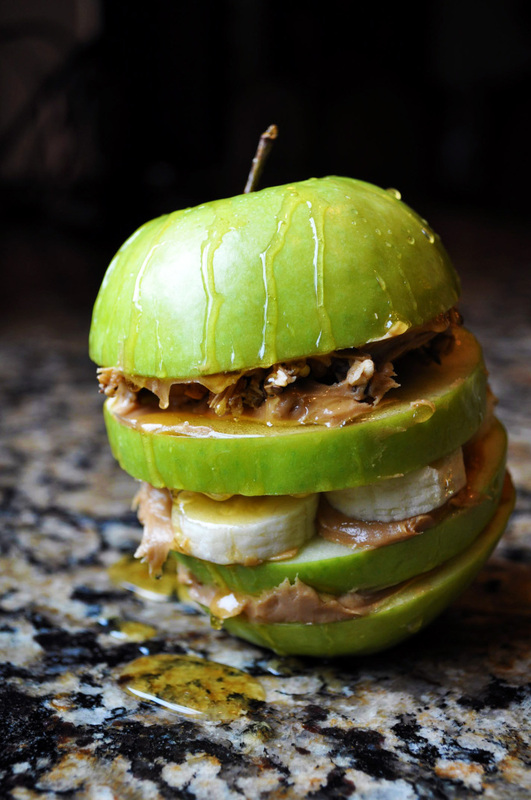 Construct an apple sandwich. I’m not talking about an apple between two slices of bread. I’m talking about using apple slices as the bread. Slice an apple horizontally, remove the seeds and fill with a nut butter. Chocolate chips are always a recommended addition. Whole Foods has constructed a particularly appetizing version. 3. Pair apples with cheese. This incredible combination somehow manages to be sweet, savory, crunchy and gooey/cheesy all at the same time. You can make something as simple as either a plate of apple slices with cheese or a grilled cheese with apple (my recommendation is Granny Smith, cheddar and brioche). If you’re feeling fancy, a cheese fondue is also an excellent option. Apple crumble has all the best parts of apple pie. It’s also really simple, and (don’t tell, but) you don’t really need to measure the ingredients. Try this version, which requires only six basic ingredients: white sugar, brown sugar, cinnamon, flour, butter and lemon juice. 5. Use apples in your breakfast. 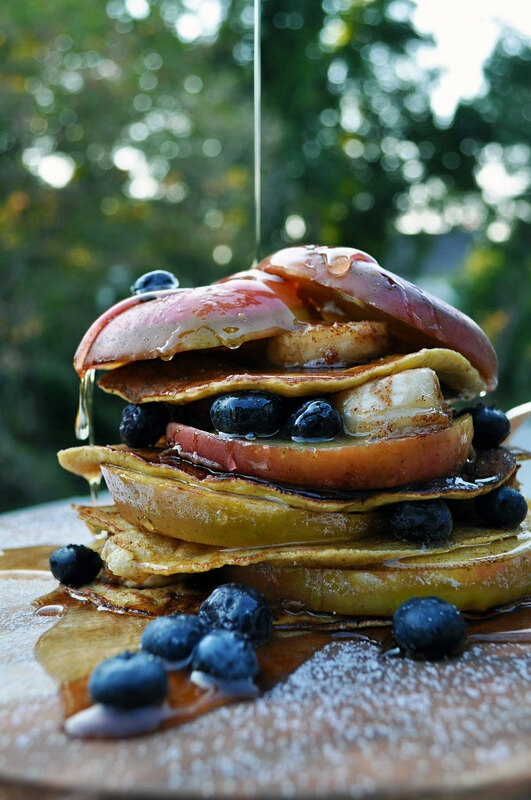 Fry apples in butter, sugar and cinnamon and then add them to your pancakes, oatmeal or waffles. Or just add fresh apples. That’s healthy, right? With these ideas, maybe you’ll want to go out and buy even more apples!